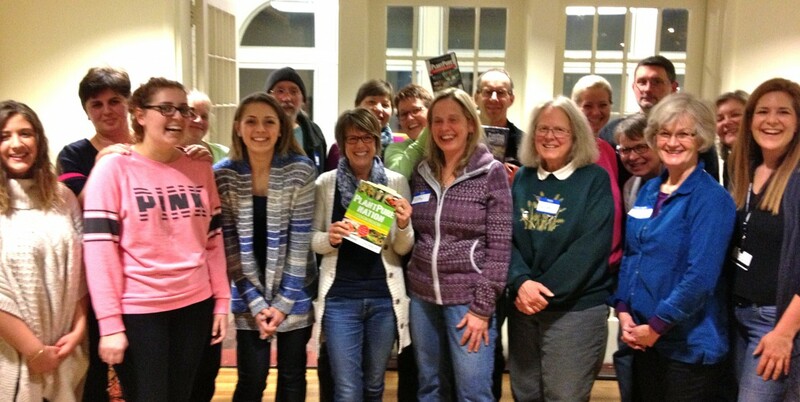 Plant Powered for Health is a plant based nutrition support group located in Grand Rapids, Michigan. This all volunteer group is centered around evidence-based research that shows the incredible health benefits of a whole food, plant-based diet (WFPB) low in fat, salt and sugar without added oils. This includes studies and publications by physicians and researchers such as Drs. Dean Ornish, Caldwell Esselstyn, T. Colin Campbell, Neal Barnard, John McDougall and others, that have demonstrated a WFPB diet to slow down, stop or in some cases reverse chronic disease. Our group strives to empower all who want to optimize their health by providing community meetings and events, discussion of the science, sharing of WFPB food, and camaraderie on the journey. Food, Friends, Science and Support! Join us! Our group meets monthly on the first Wednesday of each month, and there is no fee to attend. We are currently meeting at the GRCC Devos campus (formerly Davenport University) in Sneden Hall, Room 108 (or 103). Park in the lot behind the Administration Building off of Fulton-we have permission at this time in the evening. We are currently meeting in Sneden Hall-enter at the tutor style historic home. Look for signs to Sneden meeting rooms 108 or 103. The first Wednesday of each month from 6pm-8pm. The views expressed by the writers and contributors of Plant Powered for Health are for informational purposes only. Any reference to any specific commercial product, service, seminar, or process does not necessarily constitute or imply its endorsement or recommendation by Plant Powered for Health. Views and opinions expressed by guests and presenters, or the inclusion of external hyperlink(s) does not necessarily reflect or imply endorsement or the agreement of Plant Powered for Health. Always speak with your Health Care Practitioner before making any changes to your current lifestyle. Hi, I’m looking for a recommendation for a whole-plant-based doctor in the Grand Rapids area. I’m thinking about going WPB but would like to do it with the help from a professional. I want to work with a professional who can help me prevent and talk about certain conditions I have been diagnosed. HI Marta, Our meeting next week October 3rd will have a medical doctor from Ann Arbor giving a lecture, AND we can talk about some local medical doctor options. Join us for the event! Details on the main page! Potluck Meeting Wed. April 3rd and more! Plant Powered Potluck Meeting Wed 3/6! First Wed Potluck Meeting TONIGHT Jan 2nd!